Providing Home Watch Services for Oil Well Rd. Corridor, The Quarry, Heritage Bay, Twin Eagles and Communities along Immokalee Rd. Home watch services are as varied and vast as the sands on Naples Beach. Contact us today to discuss your home watch needs. Trust GK Home Watch With Your Home! 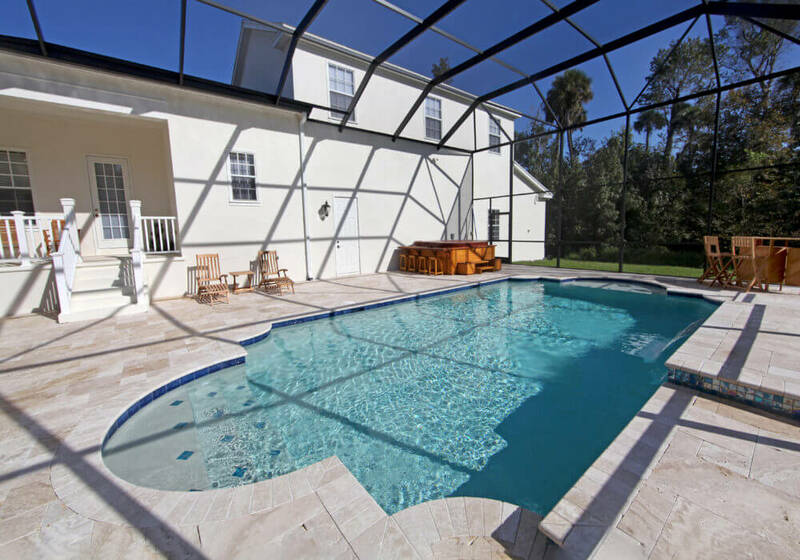 Your Florida home is a valuable investment; your peace of mind is priceless. You demand a quality home watch plan for your investment! As a seasonal resident or absentee owner, we offer you the peace of mind you need when away from your property. We customize a home watch plan based on you and your home’s features. There are standard things we check at every inspection and from there we customize your home watch plan based on home features. We also offer specialty services, concierge services, emergency services, and contractor resources. We customize a home watch plan based upon your schedule, your needs, and your home’s features. Seasonal residents know a home watch service is vital and some insurance companies require it. In addition to home watch services, we offer concierge services to make your life easier as a seasonal resident. 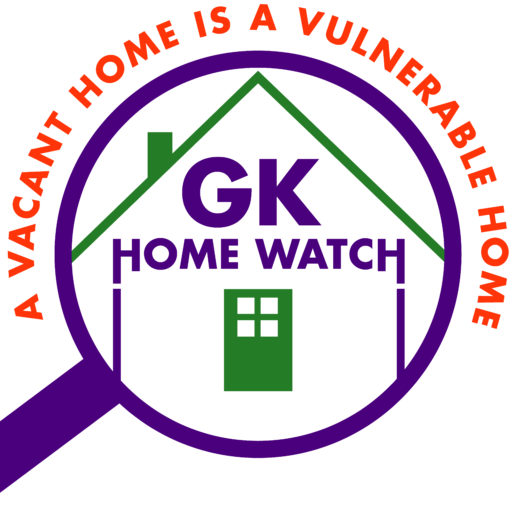 GK Home Watch, LLC provides you trained, tested, trusted, professional home watch services. We bring you fun and informative news, articles, and events relative to Naples, FL and our surrounding areas. We want to help you enjoy your stay in paradise and keep up with interesting happenings; even if you aren’t here at the moment. And hey, if you find something interesting; send it our way and we will share. You and your home get personal attention with GK Home Watch, LLC. We respect the investment in your home and your status as a seasonal resident. We look forward to caring for your home. Providing Home Watch Services for Ava Maria, Oil Well Rd. corridor, The Quarry, Heritage Bay, Twin Eagles and communities along Immokalee Rd. Home watch services are as varied and vast as the sands on Naples Beach. Contact us today to discuss your home watch needs. Greg was born and raised in the Chicagoland area. He served in the Air Force; retiring after 24 years. Then he started a second career as a materials manager as VP of Operations in the medical device manufacturing sector. Greg is active in the American Production and Inventory Control Society and has earned certification in CPRM from the University of Maryland and an MA in Management from Webster University. Greg is disciplined, dedicated, trust-worthy, up-front, honest, thorough, and always ready to serve. 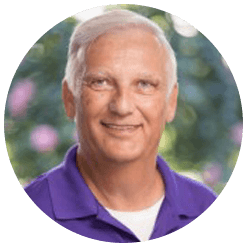 He respects the investment in your home and values doing an excellent job to ensure your home is well cared for. 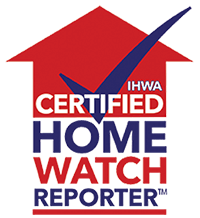 Your Home Watch Professionals® is the leader in the home watch industry. To meet the needs of the growing market, we offer the home watch training program designed for professionals in the home watch services business. 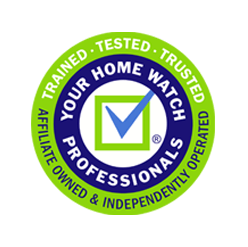 The most dedicated business owners are affiliates of your home watch professionals®. Each company is independently owned and operated. We have completed extensive training and are committed to continual education. Yanira is originally from the Dominican Republic where she was raised and educated. 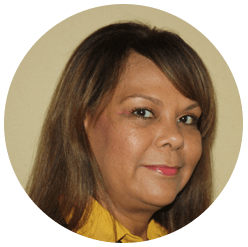 After moving to Puerto Rico she worked in government offices and in their educational system. While in Puerto Rico she obtained her United States citizenship and moved to Texas. Some years later she relocated to Naples, FL and has been living here since. Naples is where she met Greg as well. She spreads her charm and unforgettable smile through the community doing various activities. She is a most excellent manager is a most excellent manager and keeps our business organized and running smoothly. 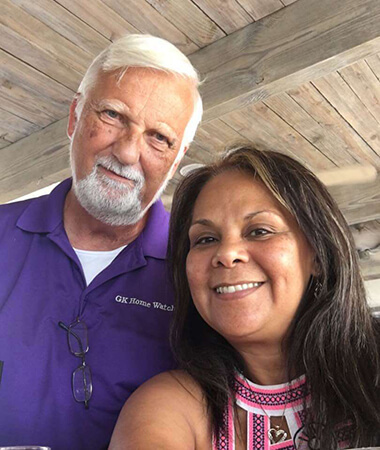 “We just wanted to say how happy we are with GK HomeWatch..a big “Thank You”to Greg ,he is professionally trained and certified for proper Home Watch of your investment.We highly recommend Greg and are extremely pleased in the manner in which he services our clients. He processes the expertise and resources to watch and take care any matter which may arise in your home. We have seen him handle incidents which involved faulty A/C units to a leaky pipe. Greg watching your home while you are away is peace of mind knowing he is looking out for you and your property. He and his company taking care of your home is truly the difference between damage and disaster. Please call Greg for all your Home Watch needs! Thanks for visiting GK Home Watch, LLC. You have taken the 1st step in selecting a trained, tested, trusted, and professional home watch service. Be well informed in your search for a home watch professional and download your FREE - Ultimate Home Watch Interview Guide. We look forward to serving you!